Local residents will have plenty of decisions to make when they step into voting booths next Tuesday, Nov. 4. Lawrence is seeking a third term in the State House while Schott is a retired educator who wants the state to boost its funding of public schools to decrease the burden on local taxpayers. According to Lawrence, residents in the 13th District are most concerned about issues that are linked—education funding, property taxes, and pension reform. “Without a doubt, the most important issues facing our area are education funding and property taxes,” Lawrence said. Impacting both is the need for pension reform. The state’s two public pension systems, the State Employees Retirement System (SERS) and Public School Employees Retirement System (PSERS) are projected to be underfunded by about $50 billion. The pension systems have been underfunded for more than a decade because of downturns in the economy and decisions that were made by lawmakers in Harrisburg to delay fully funding the pension systems. “The state employees put what they were supposed to into the retirement system. Unfortunately, the state did not,” Lawrence said, explaining that both Democratic and Republican legislators approved spending plans that allowed the deficits to soar. Lawrence said that lawmakers need to develop a pension reform plan that will meet the state's obligations to retired and current employees. But the plan must also be one that the state's residents can afford in the future. He favors moving to a defined contribution 401 (k)-style pension plan that is common in the private sector. Schott, who was a teacher at Unionville-Chadds Ford High School for three decades, views the upcoming election as an opportunity for real change in Harrisburg. Two years ago, she was a key advisor when her husband, Eric, ran against Lawrence for the 13th district seat. Lawrence won by a margin of 53 percent to 47 percent then, but Schott maintains that many of the issues back then remain unresolved today. 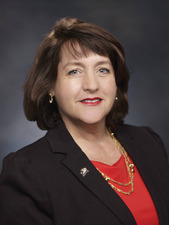 She wants to change how schools are funded by creating a fair, research-based, school-funding formula that won't be so dependent on local property taxes. The funding formula would ensure that rural, fast-growing or high-need school districts would get their fair share of funding. According to Schott, a fair funding formula would also alleviate some of the tax burden on local property owners, including senior citizens. She also criticized the Corbett administration for cutting education funding during the last four years. The reduction in funding at the state level increases the school districts' reliance on local property taxes. Lawrence disagrees that state funding to schools has been cut, noting that some of the reduction can be attributed to federal funding that was only temporary. “We’re putting more state dollars into education than ever before,” Lawrence said. He added that his idea to alleviate the local property tax burden is to get rid of property taxes altogether as the method of funding public education. “I sponsored and voted for legislation to eliminate school property taxes and move to a sales/income tax-based model for funding education,” Lawrence explained, noting that he was one of 59 lawmakers—out of a possible 203—who voted in support of that legislation. Lawrence has also proposed legislation to directly help vulnerable low-income seniors in danger of being evicted from their homes because they cannot pay school taxes. Schott, meanwhile, wants a fair natural gas extraction tax enacted and supports gubernatorial candidate Tom Wolf's efforts to enact a five percent extraction tax. She also favors closing corporate tax loopholes that allow large companies to take advantage of special rules to reduce their tax liability, sometimes all the way down to zero. Schott wants to change how lawmakers in Harrisburg do business, pledging to serve as a citizen legislator who will curtail the influence of lobbyists and special interest groups. She also wants spending reforms in Harrisburg that would drain legislative reserves and reduce the General Assembly's overall budget by 20 percent. Lawrence said that he has stayed true to his fiscally conservative beliefs during his four years in office, voting against a billion-dollar spending bill that was overloaded with pork barrel projects. He was one of the 19 House members to oppose that bill. He was one of only 27 representatives to vote “no” to a similar bill that was approved in July authorizing a billion dollars in new state debt to fund similar special projects. Lawrence said that he wants to keep taxes low to encourage economic development, and he pointed to the expansion of the Tastykake plant in Oxford and the help that his office provided to small business owners cut through red tape as examples of how he has helped business activities in the 13th District while in office. end. He had announced his retirement from the State House late in 2013, and with Election Day fast approaching, most members of the State House had reelection campaigns to run. The number of work days in Harrisburg were dwindling. Then the “October surprise” came early in the 158th district race between Republican nominee Cuyler Walker and Democratic nominee Susan Rzucidlo. On Sept. 22, Walker announced that he was withdrawing from the race for personal reasons. The decision came well after the Aug. 11 deadline to have a candidate replaced on the ballot. 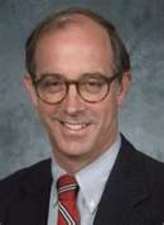 The Commonwealth Court of Pennsylvania granted Walker’s petition to withdraw from the race. A few days later, GOP leaders enlisted Ross to run in Walker’s place. Ross said at the time that everyone was shocked by the sudden turn of events. But as a nine-term incumbent, he was able to jumpstart his campaign for another term. An appeal was filed to block Ross’s name from appearing on the ballot, which presumably would have left him to run a write-in campaign, but the appeal was denied by the court. That cleared the way for Ross to make a bid for a tenth term. He said that it’s an opportunity to continue to work on important issues, such as making changes to the state pension system that would be fair to workers but would also be affordable to taxpayers. Rzucidlo is a small business owner who operates the Silent Z Farm, Inc. with her family. She founded the non-profit organization, SPEAK Unlimited to serve children and adults who have special needs. She helped create the Pennsylvania Premise Alert System, a safety tool for families and police, and gifted the system to the state. She advocated for special training for first responders when they are assisting children and adults who have special needs. She wants to to restore education funding and supports a five percent severance tax on gas drillers. midterm elections for Congress. Republicans hold 13 Congressional seats statewide while Democrats hold five, and political experts expect those numbers to remain the same after Nov. 4. Many of the Congressional races are not competitive as a result of gerrymandered redistricting that was approved by the Republican-controlled State Legislature in 2011. There is more intrigue in the local races than most. 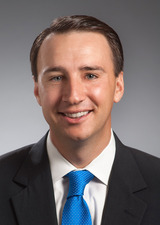 In the sprawling 6th District that includes parts of Chester, Montgomery, Berks, and Lebanon counties, Republican Ryan Costello is facing Democrat Dr. Manan Trivedi in a race to fill the seat that six-term Republican Congressman Jim Gerlach is vacating at the end of the year. 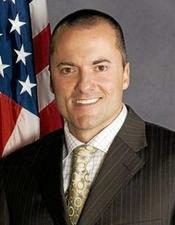 Costello is a rising star in the Chester County Republican Party. He currently serves as a Chester County Commissioner and can point to a record of cutting spending and reducing the size of government during his three years in office. Costello touts his ability to work in a bipartisan manner with his colleagues on the three-person Chester County Board of Commissioners, and believes that that kind of bipartisanship is needed in Washington D.C. to end legislative gridlock and partisan, political bickering. 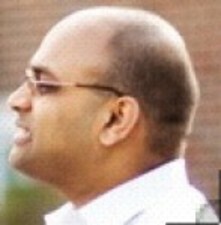 Trivedi is a physician and Iraqi war veteran who lost to Gerlach by wide margins in 2010 and 2012. He served as a Battalion Surgeon for the 1st Battalion, 5th Regiment Marine Corps Infantry and commanded a medical team that cared for over 1,200 troops and Iraqi civilians. After his service in Iraq, Trivedi received a masters degree in health policy and drew on his experience with combat medicine to become one of the early researchers to investigate the mental health issues affecting troops returning home to the U.S. from the wars in Iraq and Afghanistan. He now works as a health policy consultant and a part-time primary care physician. Health Subcommittee. 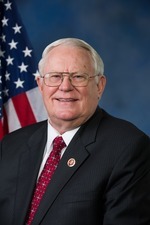 Pitts owns one of the most conservative voting records in Congress on both fiscal and social issues. 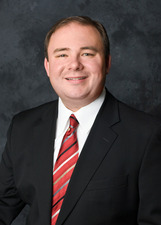 Houghton is a lawyer and former state legislator. He served for two years as the state representative from the Republican-leaning 13th District that includes most of southern Chester County. He was also a supervisor in London Grove Township for six years, and points to the work of that board to illustrate how bipartisanship can work in government. Houghton has championed investments in public education and raising the minimum wage, but if he wins on Election Day it will most likely be as a direct result of the controversy surrounding a proposed natural gas pipeline in Lancaster County. Houghton has strongly opposed the pipeline, and has chastised Pitts for not standing with the community on the issue.